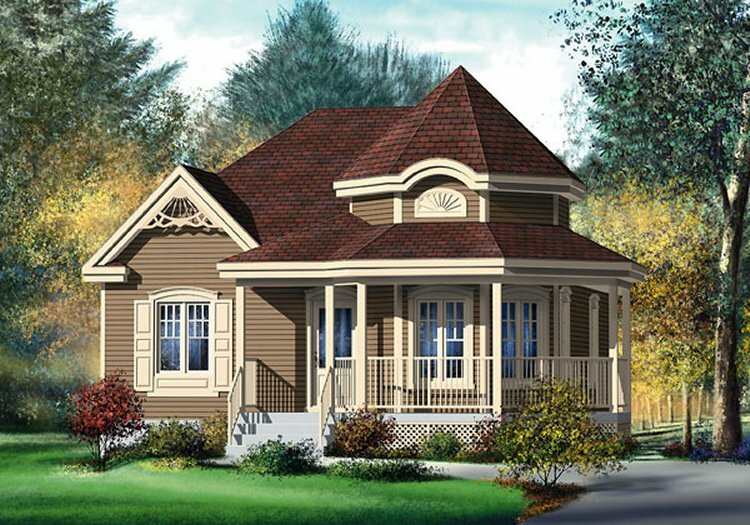 This lovely country-style bungalow will charm anyone with its pretty architectural details and large corner veranda. The house is 30 feet wide by 34 feet deep and provides 974 square feet of living space. 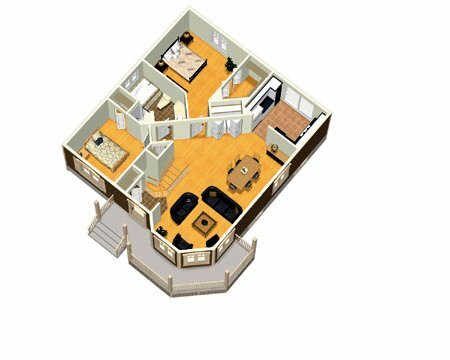 The home has two bedrooms including a master bedroom with a large walk-in closet, a bathroom, a kitchen, and an open dining and living area.